Don’t miss out on this epic event! Here’s your chance to re-live the memories, create new ones, show off your Jedi or Sith costume, and party with the most epic people this side of Cloud City! 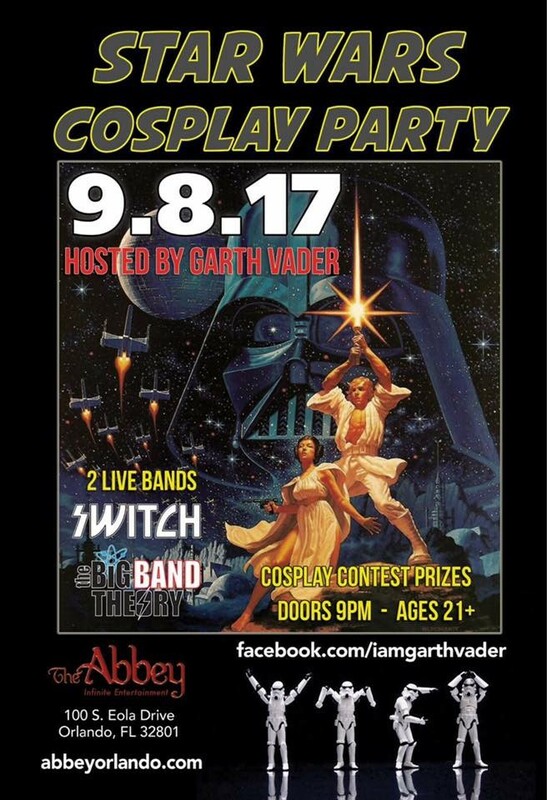 Join your hosts Garth Vader for an awesome night of cosplay contests, mingling, photo ops, LIVE music, and dancing! Cosplay Contest with cash and other prizes.